From this beautiful 3 bedroom/2 bath cottage watch the kites and eagles. You're only steps to the beach for a walk along miles of sandy beach. Enjoy the ocean view whether you're inside or out. Build treasured memories with your friends and family here in Pacific Beach. Bring your outdoor toys; kayaks, surfboards, bikes, and kite surf gear. Grill up a meal on the BBQ and play bocce ball in the fenced yard. There is off street parking for up to four cars. We had a great time at Spyglass cottage. Everything is beautifully decorated, cozy and well stocked inside. It has a gas fireplace that is very cozy and really warms up the place and the upstairs loft area. The wrap around deck is large and we enjoyed sitting on it to view great sunsets in the late afternoon. It's very peaceful there and the ocean is just steps away across the street. I highly recommend this place and it's just a mile away from Seabrook which has great food options too. We can't wait to go back! Anne has thought of everything in this beautiful, cozy, happy home! The kitchen is fully stocked with everything! We had the best time cooking, playing games, walking on the beach, reading in the nook and relaxing! We braved the winter storm warnings and are so glad we did as the weather was wonderful! Anne is so nice and messaged me with helpful details and tips! The home is decorated so cute! Wish we could see it in the summer, or during the kite festival! If we were to come back, we would DEFINITELY rent Anne's home again!! Everything about our stay was top-notch and so comfortable! Thanks Anne! Beautiful, clean, cozy home with beautiful views. We spent our New Years vacation at this home. This house was just a few steps from the beach. We appreciated the comfort this home provided, while enjoying the ocean view. Simply lovely and welcoming is Spyglass cottage. Relax & unwind in style. This lovely home is well appointed, you surely won't be disappointed! Throughout you'll find humble pleasure, this special place, an awesome treasure! 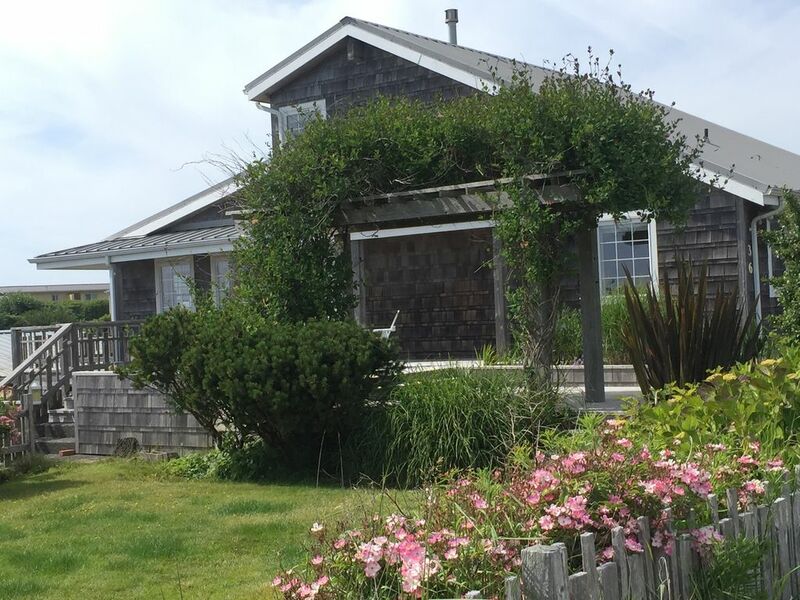 The Ocean's the cure at Pacific Beach Shore, Spyglass Cottage You will adore. Gracious owners have mastered perfection. We'll again be heading in this direction! Thanks for sharing Anne! What a lovely cottage! Kerry & Helen Poulsbo, WA. We were looking for a home on the beach where we could spend time with family and friends to celebrate my husband's 50th bday. It was perfect. We sang karaoke, played games and laughed until we cried. We were gifted a bottle of prosecco which was a nice touch💜� We had everything we needed to make a memory to last forever!